Hawaiian Airlines (www.hawaiianairlines.com) flies to American Samoa from Honolulu. The airport is 12km (8 miles) from the city. 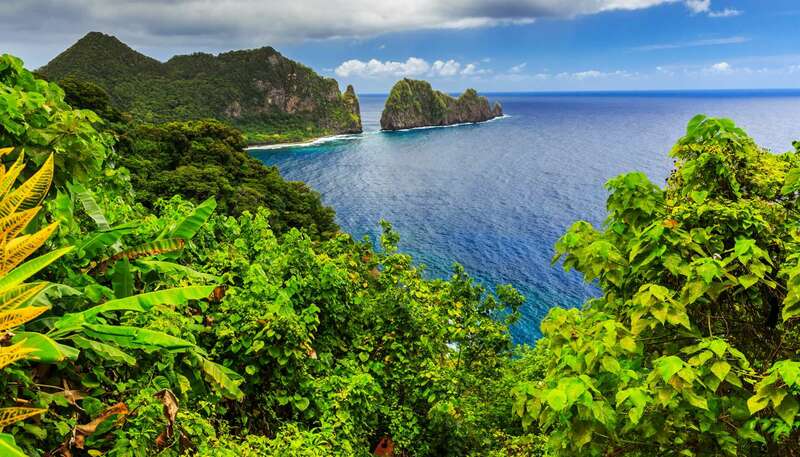 From London to Pago Pago - 60 hours (including stopovers). A typical journey would probably involve stopovers in Toronto, Vancouver or Los Angeles and Honolulu. The international port is Pago Pago (Tutuila), which is served by a number of passenger/cruise and cargo lines.